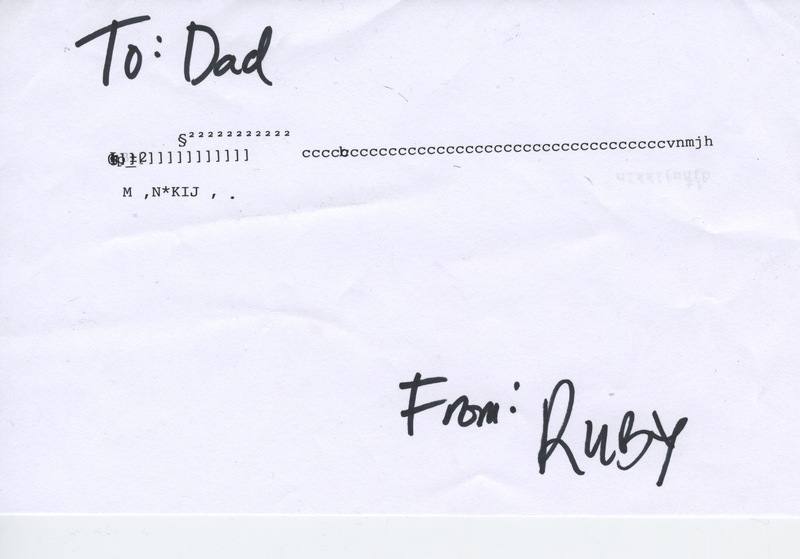 When it comes to sheer originality of correspondence, I have to hand it to my daughter, Ruby, who composed this letter the week she turned one year old. The marker was added by her mother, but the message itself is all hers. How she managed to summon those characters on my typewriter, I have no idea, but I’m impressed at the sophistication of the typography, the economy of language, the poetic repetition of the “c” key, the little star toward the end. Normally I would consider posting my child’s work slightly exploitative, but it was written on my machine, after all, and in lieu of a post of my own, I thought this might be more fun to read instead.